These Roman Shades offer a luxurious look with an affordable price. Style: Flat in color Light Filtering Light Olive with Top-Down/Bottom-Up feature. The Levolor Roman Shade gives your windows the look of luxurious fabric at an affordable price. Add depth and dramatic presentation to any room thanks to the beautiful folds of Roman shades, coupled with a huge palette of designer fabrics. The Levolor Roman Shade gives your windows the look of luxurious fabric at an affordable price. Add depth and dramatic presentation to any room thanks to the beautiful folds of Roman shades, coupled with a huge palette of designer fabrics. With a rich collection of colors, ranging from bold solids to neutrals plus a wide selection of patterns and silks, the Levolor Roman Shades offer the color and style you need for your decor. 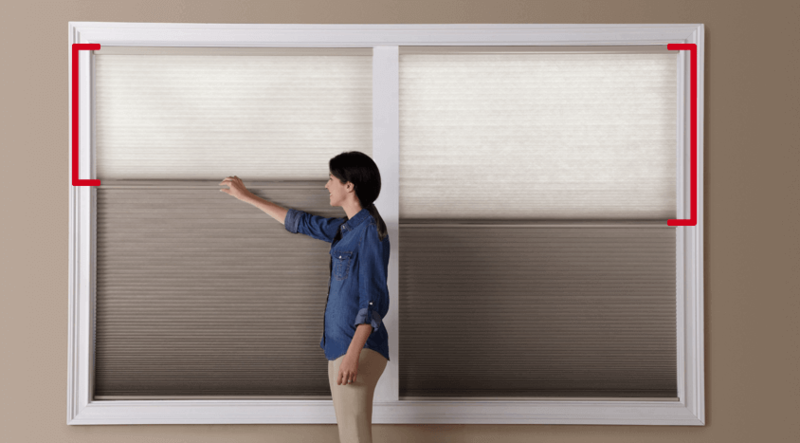 Find a number of other control and valance options to give you one of the most versatile shades available for a truly custom window treatment. Levolor Roman Shades are offered in two distinct styles to suit your taste.The flat fold offers clean and modern lines, while the Hobbled fold lends a richer feel with softly curving folds. Cordlesscontrols remove clutter and create a cleaner design aesthetic. Top-down/bottom-up provides more privacy and light control. For wider windows, Continuous cord loop is recommended for easy operation. The addition of decorative trims, fringes and scalloped hems is a creative way to add style to your shade. Scalloped hems add a tailored appearance, while trim or fringes outline the scallop. To complete the coordinated custom look, choose the elegant fabric-wrapped optional valance. For inside mounted shades, the manufacturer will deduct 3/8” for a better fit in your window. If you want room darkening options, you may consider an outside mount to block more light. Comes standard with a color-matching metal valance. Minimum Inside Mount Depth (standard corded & corded TDBU): 5/8"
Minimum Inside Mount Depth (cordless, ccl & cordless TDBU): 1/2"
Minimum Inside Mount Depth (fully recessed - standard corded & corded TDBU): 2 1/4"
Minimum Inside Mount Depth (fully recessed - cordless, ccl & cordless TDBU): 2 1/8"